2015 model has just arrived in stock!!! This custom pro scooter may as well have been designed and manufactured in Tony Stark's secret workshop from the very same materials the Iron Man suit was built from. ULTIMATE aluminium deck strength. PERFECT ride offset and the HIGHEST build quality in the business! We only use the highest aircraft grade aluminium available. Designed by Team Dogz UK! 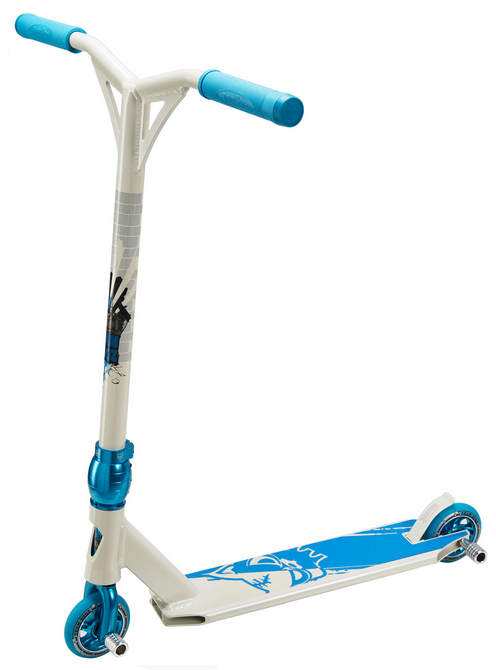 The UK's highest spec Pro 4 scooter just got EVEN BETTER! SMX T7 3D forged 1 piece forks with 8 degree offset.